Welcome home! The TownePlace Suites gives you a warm welcome to its premier extended stay hotel in the Mount Laurel and Philadelphia area. All of our spacious suites come with complimentary hot breakfast, 24/7 gym, free WiFi, 40 HD TV channels, a pull out sleeper sofa, and a full kitchen with ovens in every suite. Our Mt. Laurel hotel is conveniently located off Rt. 73, seconds away from the NJ Turnpike and Rt. 295 - in path to the Historic Philadelphia. We love accommodating our business guest in our studio rooms with all the convenient amenities, necessary for their time away from home. 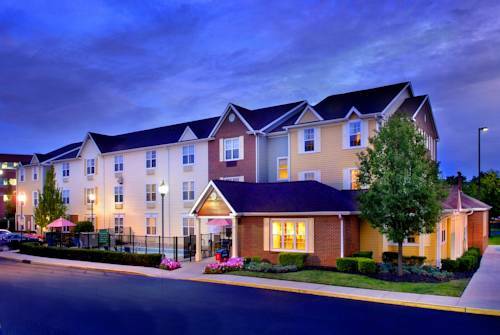 Although we are extended stay, families also favor our two bedroom suites, while enjoying a fun filled weekend visiting The Aquarium, Sky Zone, Laurel Lanes, The FunPlex, Sahara Sams, Diggerland, and shopping at Moorestown or Cherry Hill Mall. Enjoy nearby non-chain and popular restaurants, along with grocery stores to fill your kitchenettes. Visit TownePlace for a relaxed stay and let our exceptional staff do the rest!